SPARQ is a rating system a lot of NFL teams, including the Dallas Cowboys, are are using to further evaluate potential prospects entering the NFL Draft each year. Watching and studying film is still the best way to evaluate NFL hopefuls, but analytics such as SPARQ are just another tool to help in the evaluation process. In case you didn't already know, SPARQ is an acronym for Speed, Power, Agility, Reaction and Quickness. The SPARQ rating is deprived from a formula that combines results from standard measurements of the NFL Combine. It's basically a rating system that helps measure sport-specific athleticism and the results from these tests are combined and weighed using a formula specific to football. There's no way of knowing how much value the Dallas Cowboys or any other NFL team places on these SPARQ scores, but it is a good resource to have in order to measure a players athletic ability. Today, I want to shine the light on a few of these SPARQ score standouts who the Cowboys could draft. Sheldrick Redwine may not be one of the top safety prospects in the 2019 draft class, but you wouldn't know it if you were solely assessing him off of his SPARQ score. According to 3sigmaathlete.com, he tested in the 95th percentile, making him the second best safety prospect in this year's draft class behind only Juan Thornhill. 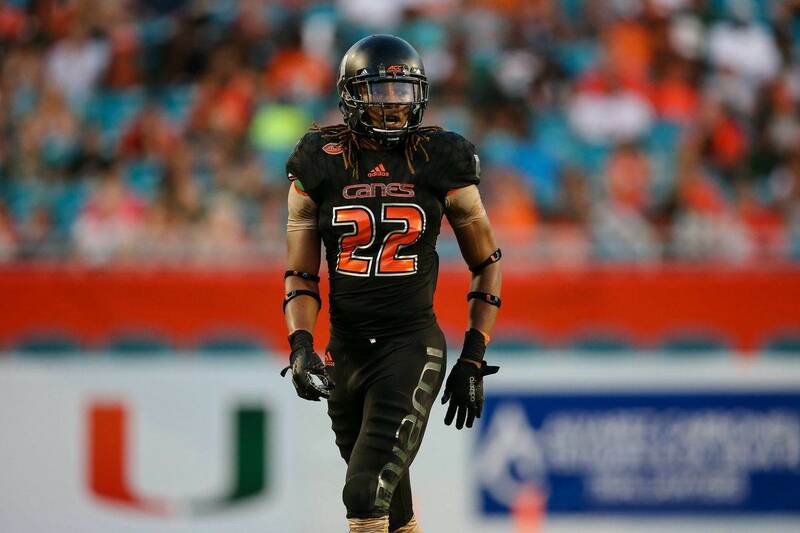 Redwine is an intriguing option for the Dallas Cowboys if they miss out on one of the top safety prospects with one of their first two picks. He is an aggressive, versatile safety with the ball skills and run support ability to challenge for a starting role as a rookie. Right now he may be best around the line of scrimmage as a box safety until he proves he can be more consistent in his coverage responsibilities. Ben Banogu has somehow managed to fly a little bit under the radar in this year's EDGE draft class, but his stock is rising. According to 3sigmaathlete.com he has the best SPARQ score of any edge-rusher, testing in the 97th percentile. That in itself speaks volumes to his athleticism, but it really hit's home when you take into consideration the players he edged out. Montez Sweat for instance created a buzz for himself at the NFL Combine, but Banogu ended up testing just a little bit better. I can confidently say Ben Banogu is definitely someone the Dallas Cowboys are familiar with. He played right down the road at TCU where he tallied 34.5 tackles for a loss and 17 quarterback sacks in 27 games. He participated at Dallas Day for local prospects, which will give him a chance to show off his athleticism and prove why he should be a consideration for the Cowboys on draft day. His production and athleticism may be too much for them to pass up. It seems as if the Dallas Cowboys may have their sights set on selecting a tight end at some point in the 2019 NFL Draft. Luckily, this is one of the deepest TE groups in recent memory and we could see as many as six get drafted in the top 100, three of which could go on the first-round. The Cowboys have the luxury of not having to take one early if they don't want to with Jason Witten now back in the mix. With Witten back, Dallas could wait until Day 3 before pulling the trigger on what they hope to be their future TE1. A player they should target in that range is Foster Moreau out of LSU. He was seldomly used in the passing game during his time with the Tigers, but his athletic profile is really intriguing. He surprisingly tied with T.J. Hockensen with the second best SPARQ score this year and tested in the 85th percentile according to 3sigmaathlete.com. Only Noah Fant tested better. Trysten Hill is someone the Dallas Cowboys have shown a pretty strong interest in so far in the draft process. Rod Marinelli personally put him through drills during Hill's Pro Day, and he was one of the Cowboys 30 pre-draft visitors. For me, that suggests he's a strong candidate to be a member of their 2019 draft class. I've been a fan of Hill's for a while now and was really excited the Cowboys were showing an interest in him as well. But, even I was surprised when I looked up his SPARQ score. He tested in the 81st percentile and finished just behind Quinnen Williams at six amongst this year's defensive tackles according to 3sigmaathlete.com. With so many of Dallas' DTs under a one-year contract, a player with the athletic profile of Hill makes a lot of sense. Like Trysten Hill, Derrek Thomas was one of the Dallas Cowboys 30 pre-draft visitors this year. He has the size and length Defensive Backs Coach Kris Richard prefers in his cornerbacks and would be a good developmental player in the late rounds or as a possible undrafted free agent. At least that's where he's projected to end up in the draft, but his SPARQ score suggests he could be better than that. According to 3sigmaathlete.com, Thomas tested as the 10th best cornerback in this year's draft class, finishing in the 90th percentile. This could be the reason the Cowboys have shown an interest in him in the first place, because his tape isn't that great. Teams are looking for certain traits to develop in the later rounds of the draft and Thomas' athleticism is definitely something worth gambling on in the hopes of unlocking his potential.